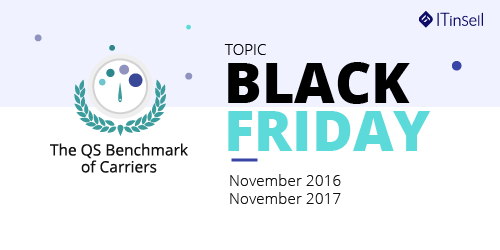 Discover in three report the delivery performances evolution of french carriers during the last two Black Friday month. Discover in three report the delivery performances of french carriers during the 2018 spring/summer sales. Discover in three report the delivery performances of french carriers during the 2018 autumn/winter sales. Extract from the results of July 2018. Best served areas based on French "départements"
each carrier's commitment regarding delivery days. Are you interested in this data? Download the full version of the report and consult the QS Benchmark of Carriers statistics. With the help from all the participants who share their shipping flow, these carriers will soon be integrated into the QS Benchmark. Do you want to speed up the integration of a carrier? Simple, fast and a perfect brand presenter, membership of the QS Barometer and the fusion of your shipment flows guarantee the objectivity and exaustivity of the statistics. You will also benefit from a powerful internal reporting tool. Each year, several hundred million parcels are dispatched to specific destinations. Despite a growing demand from E-Consumers and an ever-increasing number of transport offers, there is no independent and comprehensive tool that currently measures the quality of deliveries in Europe. The QS Benchmark of Carriers is the first study to provide such data. A detailed study of the quality of delivery published each month. Inform the general public about the quality of deliveries. Today in Europe, consumers have no indicator to trust when choosing the carrier who will deliver their package. 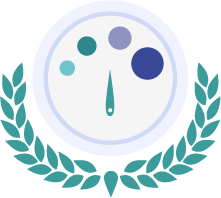 The QS Benchmark aims to be this repository of trust for the general public. Offer a benchmarking tool to VAD professionals. E-Commerce decision-makers need a reliable tool in order to compare the quality of service of carriers to carry out their transport tenders. This data is provided by VAD professionals who enrich the Barometer. Develop an emulation amoung transport providers. Carrier performance is analyzed and compared by several quality criterias. With this collaborative and independent tool, the generated emulation improves delivery performance on a European scale. All of these brands analyze their shipment flows with the QS Benchmark, this helps make it possible to publish objective and exhaustive results. ← Discover the project in video. A monthly report published with the help from data collected from some of the largest online retailers. Open to E-traders, logisticians and carriers, the QS Benchmark is the reference indicator on the quality of service of carriers.